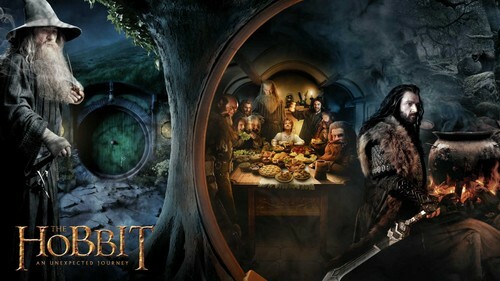 The Hobbit 壁纸. . HD Wallpaper and background images in the 《霍比特人》 club tagged: the hobbit an unexpected journey bilbo gandalf. This 《霍比特人》 wallpaper might contain 彩色玻璃窗 and 彩色玻璃窗口. Is that Thorin Oakenshield in 星, 星级 Wars: The Phantom Menace?